Using Power BI REST API, you can create apps that integrate with Power BI reports, dashboards, and tiles. 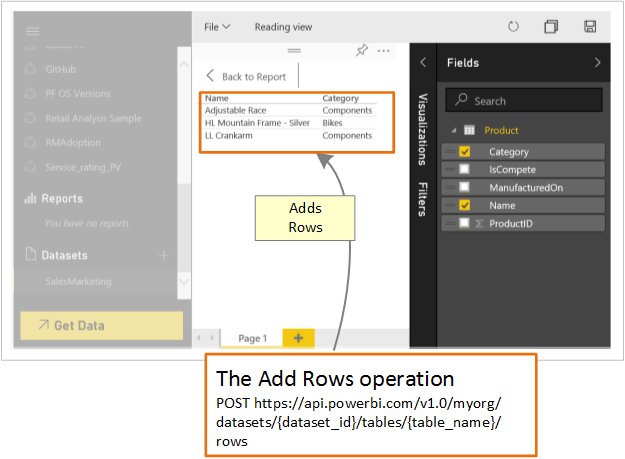 With Power BI REST API, it is possible to perform management tasks on Power BI objects like reports, datasets, and workspaces. Here are some of the things you can do with the Power BI APIs. Postman Run requests, test, debug, monitor, run automated tests and more. You can use the Power BI API to push data into a dataset. This feature allows you to add a row to a table within a dataset. The new data is then reflected in tiles on a dashboard and within visuals within your report.